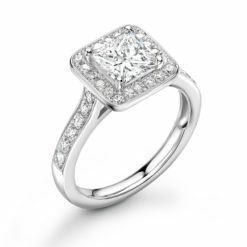 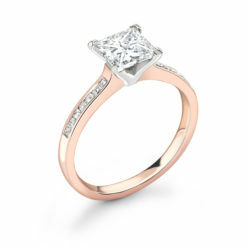 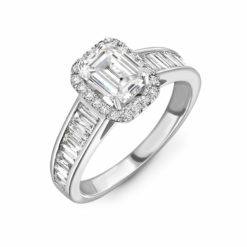 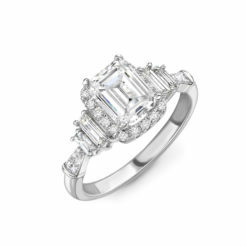 The Hazel, our emerald cut halo creates that perfect balance between class and modesty. 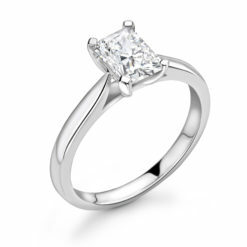 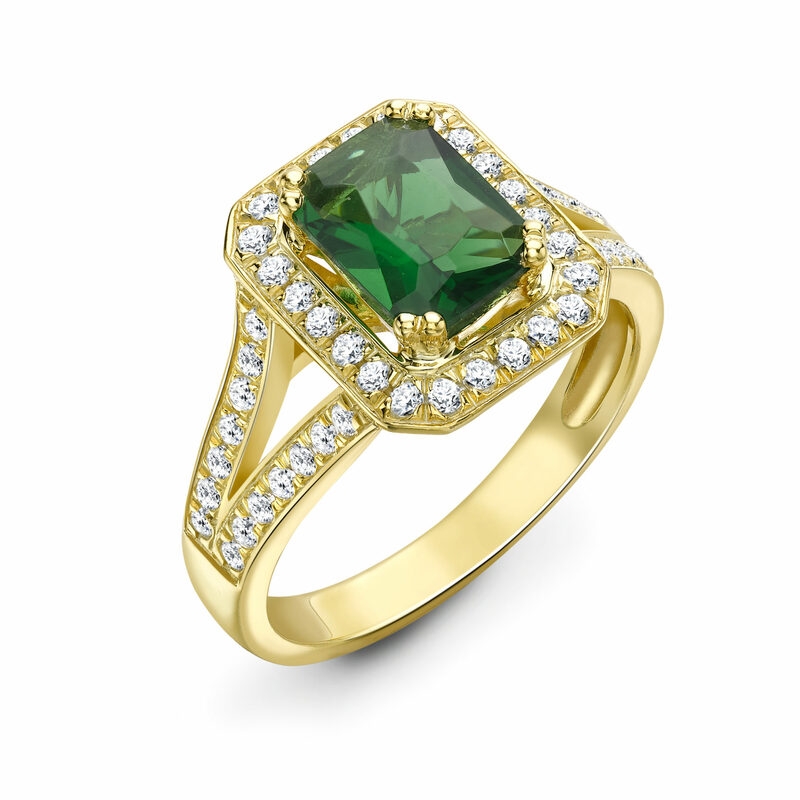 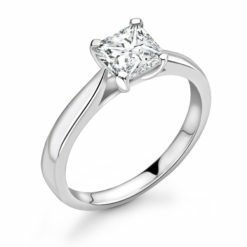 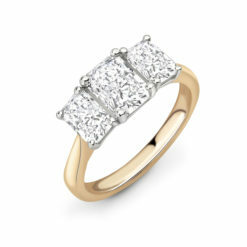 The split shank gives us the delicate ratio, making it a true gift to that special person. 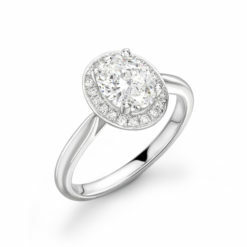 The round brilliant cut diamonds have the extra detail in-between each setting, bringing out the the hard work our team put in to every bespoke ring for our clients.